Thanks to the dedication and efforts by Bucks County and surrounding community residents, the Bucks County Board of Associates raised $350,000 in fiscal year 2015 for Fox Chase Cancer Center research following the $293,000 raised in fiscal year 2014. These funds were raised through the contributions from event sponsors and contributors, event participation, and individual donations from Bucks County residents. The Bucks County Chapter of the Board of Associates of Fox Chase Cancer Center fundraising for cancer research has now surpassed $4,200,000 since the board was formed in the early 1980s. 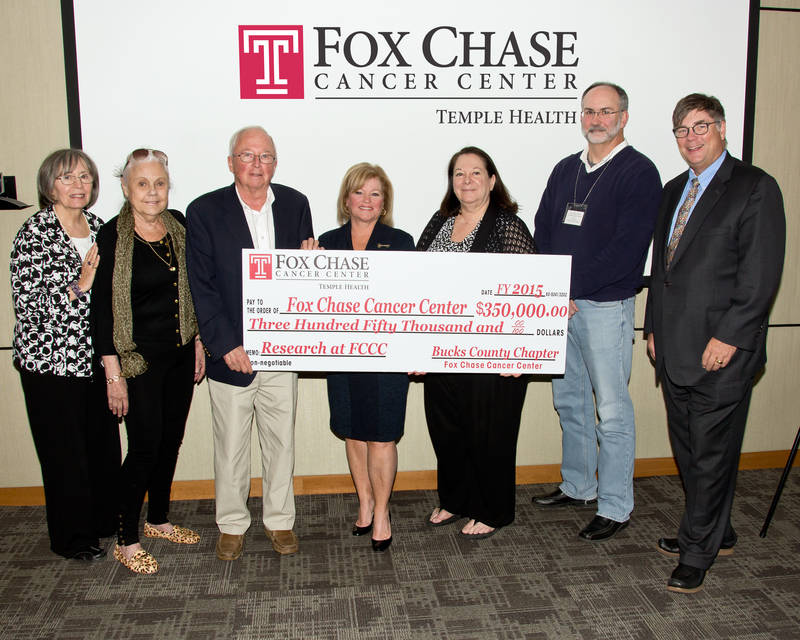 More significant than the funds raised for cancer research are the Fox Chase research achievements resulting from the funding. To read about compelling research achievements supported by your funding, please see the Bucks County Chapter’s letter to our supporters overviewing a few of the achievements. Also see Dr. M. O’Reilly’s more detailed description of those achievements. This entry was posted in Fundraising Results. Bookmark the permalink.